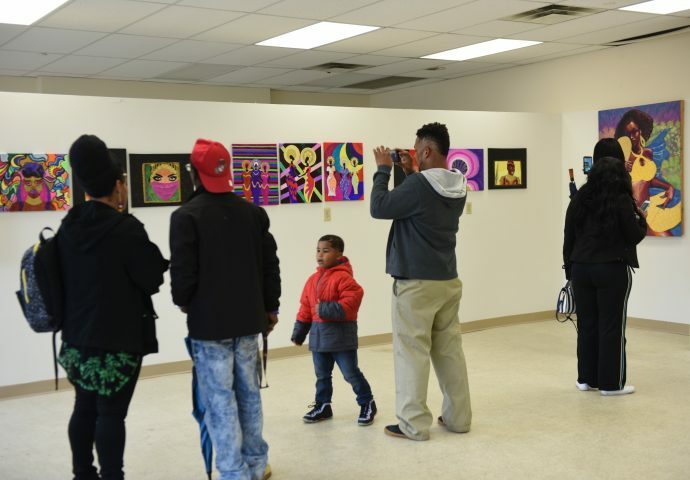 Visitors enjoy the gallery featuring local black artists at the Wakanda Festival. 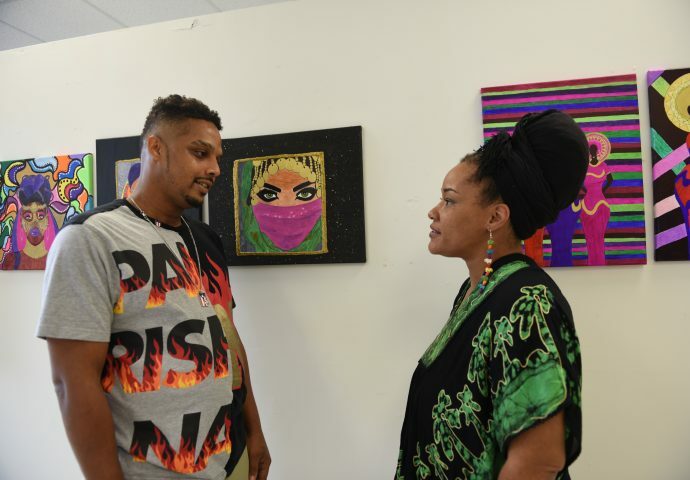 Joel Sills speaks with artist Nubian Star. 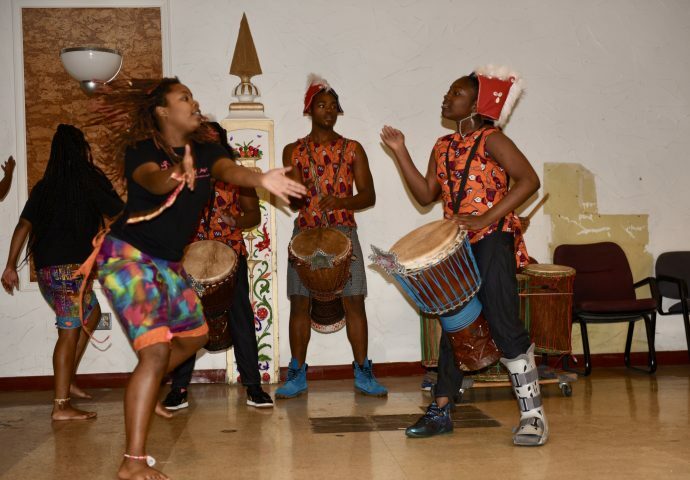 The Spirit of Wakanda Festival, an arts festival celebrating African and African-inspired art and community fellowship, took place on Saturday, Oct. 6 the Mobile Design Box, 753 N. 27th St.
Local African dance and drumming group O.N.F.Y.A.H. 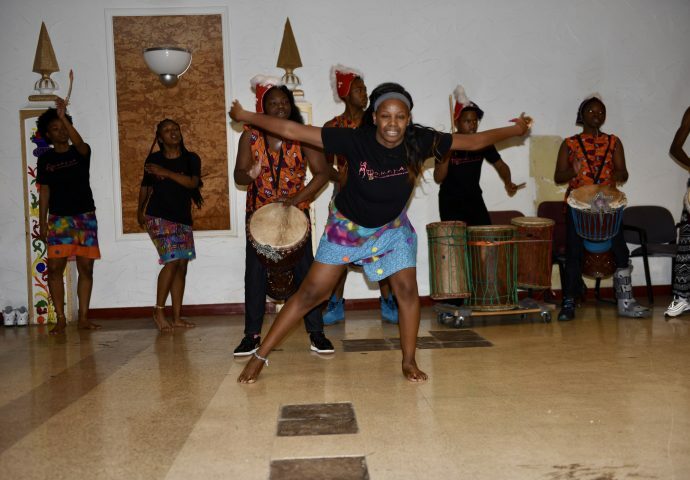 (Our Nation For Youth Arts & Healing) performed during the opening ceremony and throughout the festival. 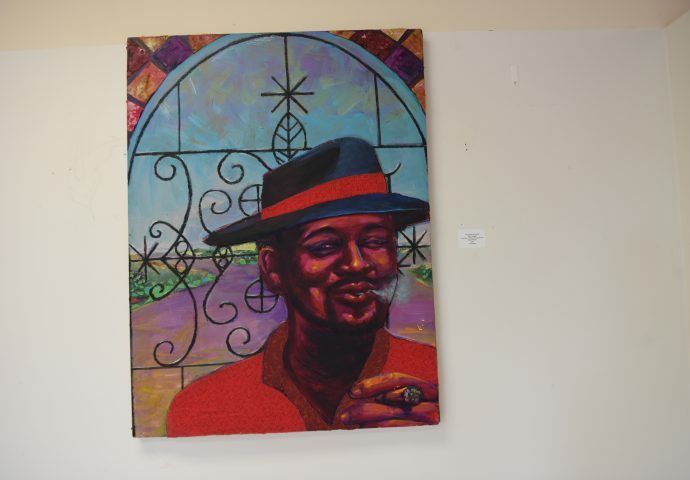 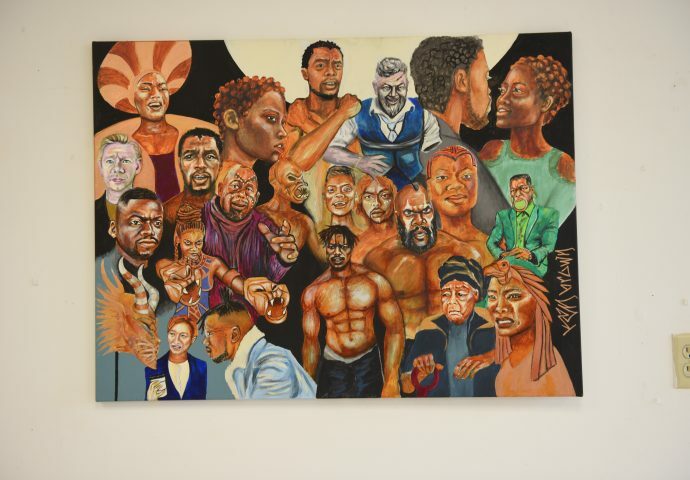 Visual artists included Ken Brown, Nubian Star, Ammar Nsoroma, Sonji Hunt, William Muhammed, Mutope Johnson, Darron Reed, Jeffrey Brown, T. Ruth Shank and Rachael Thompson. 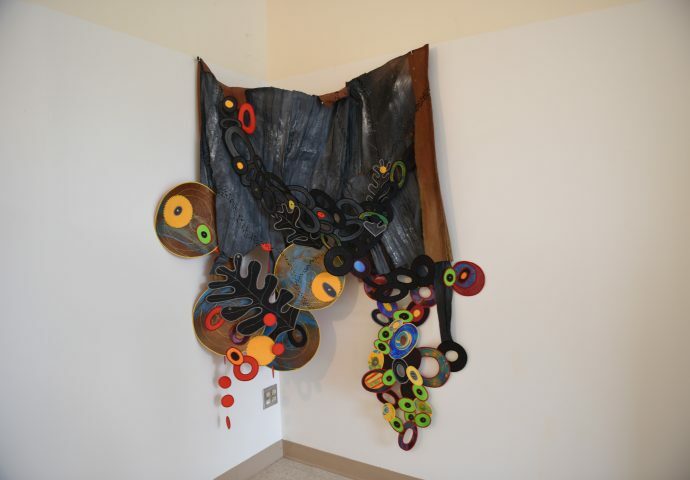 Other activities included an arts and crafts table hosted by A.W.E. 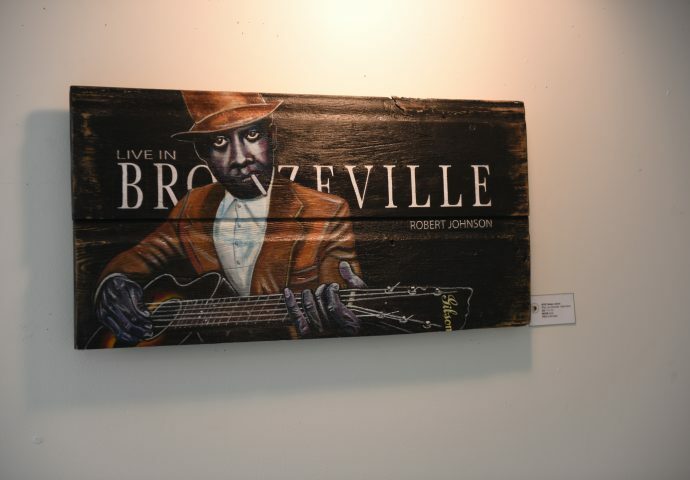 and music by DJ Sherman.